All children have settled into their new routine really well this year and we are very proud of them all. Keep visiting this page to stay up to date with new information and to see some of the exciting things that we do here at Stoke Minster! We will update it as often as we can. Our Reception doors open in a morning at 8:50 and there will always be a member of the Reception team there to greet all the smiley faces and answer any questions that you have. Children's busy learning starts straight away, so they MUST be in school before the doors are closed at 9:05. If you are late and arrive at school after the doors are closed, please walk around to 'Late Gate' at the main school office. Please do not knock on our doors and windows as we can't let you in, because learning will have began and the registers closed. School ends at 3:05 and the doors will be closed at 3:15. If you arrive after 3:15 you will have to collect your child from 'Late Gate' at the main school office. It was lovely to welcome all our new families into Reception this week. We look forward to sharing your child's exciting new adventures with you, as they journey through their learning here at Stoke Minster. We were also very impressed that the majority of tears on the gate were from proud parents and carers! We hope that you enjoyed your first day goody bag! As we spend lots of our busy learning time participating in Physical Activities, for the safety of your child we advise you to take their earrings out before they come to school each day. Children CANNOT participate in PHYSICAL ACTIVITIES if they are wearing earrings. Happy Friday! We hope that you have all had a good week, we know that we have! It has been lovely to see lots of smiley faces coming in each morning. All of the children have settled into their new routine really well this year and we are really pleased with them. This week has been HAPPINESS WEEK and we have launched this very special week with Muddy Monday! We had a mud café, sensory tray and mud slide outside and had lots of fun getting down and dirty. Inside we really liked playing with toy cars and diggers in chocolaty mud made with flour, sugar, coco powder and chocolate syrup. It smelt AMAZING! The next day was Terrific Tuesday, where we cleaned all of the things that got muddy the day before. We then discovered on the staff carpark that Mr Burgess’ car was very muddy, so we cleaned that too! It really helped our physical development as we could practise out big letter writing movements with the sponges to get the car clean. We all had a go of the hose and made the cars sparkle. We got wet and wild on Watery Wednesday having lots of fun with water play. We especially enjoyed making our own water slides with the marble run and water. It was great fun! Foamy Thursday was equally as great; we constructed and painted with shaving foam and had it in trays to practise forming our letters ad numerals. Outside we conducted a science experiment to create our own foam. In a test tube we mixed liquid soap with vinegar and then in a different test tube mixed baking soda with water. Ask your child what happened when we mixed the two test tubes together! We rounded off a lovely week with Fire and Ice Friday. We investigated how ice cream is made and then visited our very own ice cream parlour! Through all our different ice play we learnt all about melting and freezing. Thank you for your support, we hope that you have a lovely weekend! Happy Friday! We hope that your week has been as wonderful as ours has. This week we have been celebrating ‘International Dot Day’ by having a whole week dedicated to the story ‘The Dot’ written by Peter H. Reynolds. In this inspiring, award-winning story of self-expression and creativity, Vashti thinks she can’t draw. But her teacher is sure that she can. She knows that there’s creative spirit in everyone and encourages Vashti to sign the angry dot she makes in frustration on a piece of paper. This act makes Vashti look at herself a little differently and helps her discover that where there’s a dot there’s a way… Peter H. Reynolds encourages even the stubbornly uncreative among us to make a mark – and follow where it takes us, so that’s what we have been doing this week! As well as discussing the events and feelings of the characters in the story, we have made LOTS of dotty, spotty art with many different types of media and materials. We especially enjoyed creating outdoor floor art with both natural objects and different coloured chalks. To help give us ideas for our artwork we looked at the works of ‘Jackson Pollock’ and ‘Piet Mondrian’ and then created our own masterpieces in the style of these famous artists. As a starting point for our writing, like Vashti we started with a dot and then turned it into our own magnificent picture. We shared what our picture was and then completed the written sentence ‘My dot is…’ We all tried very hard to hear and say the sounds in the words that we were writing. You might even like to listen to the song that we have been learning too! Have a wonderful weekend; we look forward to hearing all about it. Happy Friday! We can’t believe how quickly this week has gone, it really has flown by! Our creative theme has continued this week through the story ‘The Day the Crayons Quit’ by Drew Daywalt and Oliver Jeffers. During this story poor Duncan just wants to colour in. But when he opens his box of crayons, he only finds letters, all saying the same thing: We quit! Beige is tired of playing second fiddle to Brown, Blue needs a break from colouring in all that water, while Pink just wants to be used. Green has no complaints, but Orange and Yellow are no longer speaking to each other. The battle lines have been drawn. What is Duncan to do? We have been giving both Duncan and the crayons lots of different advice to try and help solve their problems in our story talk this week. We all got our own little crayon family to bring home and we talked about how to look after our crayon family and the exciting adventures that we could take them on. We have taken the school crayons on lots of different adventures in our small world play this week. They have visited the dinosaurs and been on an adventure from the train station. In our Literacy this week we have made our own crayons and personalised them by writing our names. We then made our own crayon in the creative area. We used our own photos and practised writing our names independently using our name cards to help us. We had a wonderful day on Friday celebrating our Spanish Day! We tasted Spanish food, we had a Spanish disco and we even learnt how to Flamenco Dance. Thank you for coming in your yellow and red clothes you all looked fantastic. STOKE MINSTER STAFF HOKEY COKEY! Ways to help your child with their handwriting! Below are a series of videos that model how we form our pre-cursive letters in Reception. We start all of our letters with our pencil on the line and 'swoosh' up the ramp into the letter. As it was mental health awareness day this week, our book ‘Mr Happy’ has been focusing on our emotions. This story is written by Rodger Hargreaves and tells the story of Mr Happy, who is the happiest person in the world. He goes on a journey down the spiral staircase and meets someone who looks exactly the same as him except he is miserable. After meeting Mr Miserable, Mr Happy invites him back to happy land and eventually Mr Miserable turns up the corners of his mouth into a smile and then an enormous laugh! We have been really unpicking our story this week; sharing our likes and dislikes about the book and identifying the setting and characters. We have even been trying to answer what, where, when and why questions about the story. During our circle times we have been sharing what makes us feel happy and what makes us feel miserable. We then even put this down in writing! Our letter formation is getting much better now, especially when writing the letters l, t, i and u. These are the letters that we have been focussing on during our daily handwriting sessions. We have all had a miserable selfie taken on the I Pad this week and then had lots of fun in the creative area adding different drawings and collage like lips, beards, moustaches and hats to try and make our grumpy faces look happier. Some of the end results were very funny and made us laugh like Mr Happy and Mr Miserable did at the end of the story. We have also discussed what we can do if we ever feel miserable and talked about who we could go to for help. On Friday we introduced our ‘happyometre’, a numbered scale where children can show on their fingers how they are feeling with 1 being very, very sad and 10 being very, very happy. This is something that we will be doing every day from now on during our start of day times. 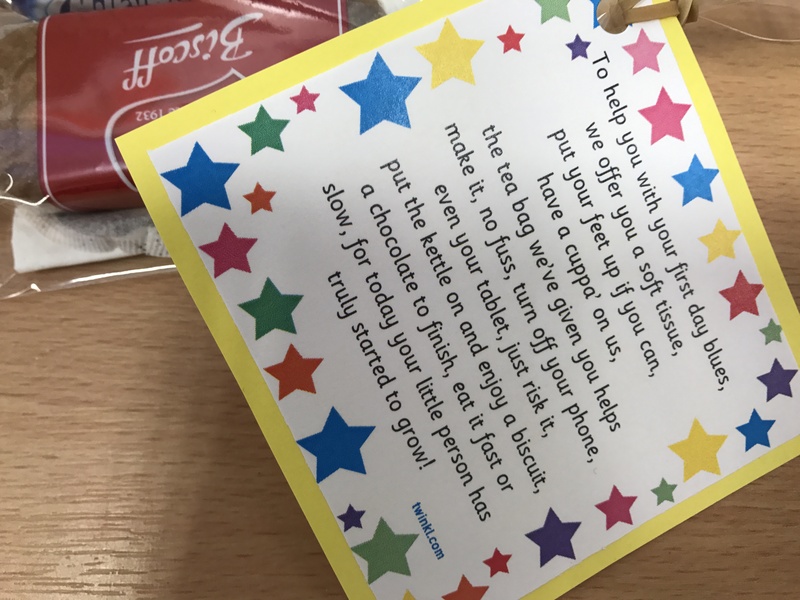 This will enable us to see if anyone is feeling unhappy and if they are we can give them a little extra support throughout the day to ‘up their happy’! Ways to help your child with their Letters and Sounds! Here are some activities that you might like to play at home to help your child to recognise their letters, hear the sounds in words and blend to read. This week our focus story has been ‘Skeleton Crew’; one of the titles in Allan Ahlberg's iconic children's picture book series about skeletons, Funnybones. In this story the three skeletons enjoy a holiday on-board their little boat. But one night - "Yo-ho-ho" - the pirates come and put them out to sea on a tiny raft, launching them on an oceanful of new adventures. After reading the story this week we have been talking about the setting and the characters in the story. We also had a look at the problem the Funnybones skeletons had and how it was solved. For our writing this week we have been using our phonics skills to write labels. We labelled the different parts of the skeletons from the story. To link in with our story, we have had lots of different skeleton activities in all our curriculum areas. We have been learning about human and animal skeletons and created lots of different skeleton artwork with different materials. We have been ordering bones by size and using language of length to describe them. We are getting really good now at using words like shortest, longer, longest and longest, shorter, shortest. We have been counting out different quantities of bones to match numerals too! We have had a wonderful week back at school in Reception! We have been focusing on the story ‘Winnie and Wilbur and The Amazing Pumpkin’ by Valerie Thomas and Korky Paul. In the story Winnie and Wilbur love their vegetables. They are regulars at the weekly farmers' market to stock up on their greens, but bringing them back home on a broomstick proves to be rather hazardous. So Winnie decides to grow her own and digs a vegetable patch in her garden. Not having the patience of a true gardener, she uses a little magic to speed up the growing process . . . only to end up with a garden overrun by enormous vegetables. She uses her giant pumpkin to make pumpkin pies, pumpkin scones, creamy pumpkin soup for Wilbur, and dish after dish of roast pumpkin. She invites all her neighbours to help themselves to pumpkin, too. Eventually the yummy orange flesh is all gone but the shell remains. What can Winnie do with it? She waves her wand, shouts 'Abracadabra! ', and something amazing happens . . .
We have been learning about different vegetables this week in Reception, looking at the different vegetables mentioned in the story and talking about our favourite vegetables. We then wrote a shopping list – writing all the different things we would need to make vegetable soup. Our activities around the classroom have all been linked to the story; we have had lots of pumpkin activities. We have painted pumpkins; weighed pumpkins to see which are the heaviest; used oil pastels to draw pumpkins and even painted pumpkin seeds. We were very lucky to have ‘Key Strings’ visit our school this week! We saw lots of new instruments and listened to Mr Mosedale and Mr Lycett plays lots of different songs. We all joined in by clapping, tapping and marching and had LOTS of fun! Some of us even got to have a little try on some of the instruments. We have had a wonderful week back at school in Reception! This week we have been learning all about Bonfire Night! We have looked at all the different features of a non-fiction book this week to learn all about how and why we celebrate Bonfire Night. The children have enjoyed listening to and discussing the events in the story of Guy Fawkes. We also enjoyed watching firework videos and listening to the different sounds the fireworks make. We then wrote our own firework poems using all of the different firework words, they were fab! We have loved all of our firework creative activities this week. We created some wonderful fireworks art using lots of different materials, tools, and paint, we used oil pastels to create bonfires and we even used the play dough to create some super sparkly fireworks. We were also very lucky to have a fruit tasting session this week. Howard from the kitchen came into Reception with lots of different fruits for us to learn about. He brought; mango, strawberries, blueberries, papaya, dragon fruit, coconut, pineapple and star fruit. We then got to choose some fruit to taste; some of us were really brave and chose the new fruits! This week our shared text has been another Non-Fiction book, this time all about the Festival of Lights: Diwali! Children have been introduced to what it means to celebrate Diwali and learnt why this holiday is special. Through exploring the different sections of the book and investigating non-fiction photographs, they have learnt all about the different countries that celebrate Diwali and how people celebrate this special occasion. We even used the picture glossary in our Non-Fiction book to help us learn the meanings of lots of new words! This week children have also enjoyed listening to a Diwali story about Rama and Sita. We have got very creative during our Diwali themed activities and modelled our own Diwali Diva’s. Children made them look beautiful by adding different coloured gems as decoration. They then continued their creativity outdoors, by producing different Rangoli patterns using brightly coloured rice and sand. In the writing area this week we have produced our own Diwali greetings cards. We are all getting really good at applying what we have learnt in our Letters and Sounds now, with lots of us writing the word ‘to’ and our names with no support! We are also becoming much more confident in segmenting (sounding out) the other words that we want to include in our writing. Reception looked wonderful dressed in their spotty clothes for Children in need this Friday. Thank you very much for your kind donations towards this wonderful cause. We hope that you have a great weekend, thank you for your continued support! On Wednesday we were very lucky to have a visit from Archer the dog! We learnt how to stay safe around dogs and about the things that make them happy. We also learnt about the things that dogs don’t like, which might make them sad or grumpy! We are all going to try and remember this learning, so that we can stay safe around dogs when we see them outside of school. We all made Archer feel very happy and welcome and lots of us loved stroking him and rubbing his belly! We are hoping that Archer visits us again really soon. We have had a wonderful week here in Reception! We have been focusing on the story ‘Stick man’ by Julia Donaldson. "Stick Man lives in the family tree with his Stick Lady Love and their stick children three." But it's dangerous being a Stick Man. A dog wants to play with him; a swan builds her nest with him. He even ends up on a fire! Will he ever get back to the family tree? We have had lots of wonderful stick activities around our classroom and outside this week. We have learnt all about Stick Man and his family, we have been on a hunt to find some sticks and we even designed and created our own stick man character! We have also had a circle time looking at what stick man is good at and the things we are all good at. It has been lots of fun. We also had our Anti-Bullying day on Friday ‘Dare to be Different’. In Reception we looked at how to be a kind friend and what to do if someone has upset or hurt you. We hope you like your Child’s new target book, stapled to the back of their yellow Reading Diary, you can use this to see your child’s progress, next steps and targets. We have had a wonderful week here in Reception! We have been really busy practising our Nativity and we can’t wait for you all to come and watch it. Don’t forget to get your tickets it is on Monday 10th December at 10:30am and Tuesday 11th December at 10:30am. For our Nativity, if your child is the choir, they will need to bring in a Christmas clothes or party clothes. They will need to bring this into school in a plastic bag with their name on so they can change into it in school. It needs to be in school by Tuesday 4th of December ready for our dress rehearsal. We hope you all had a wonderful Christmas break and a good start to 2019! It has been lovely to welcome you all back to Reception this week to start off our New Year and we have enjoyed hearing all about what you have been up to over the Christmas holidays. This week we have been focusing on the story ‘Dear Dragon’ by An Vrombaut. In this story it is Princess Florrie's birthday. She is tired of all the usual entertainment - jugglers, jesters and acrobats and wants something a little unusual for her party. Something like a dreadful dragon. The rest of the palace is convinced he's too dreadful, but Princess Florrie likes a challenge so she decides to write him a letter. We have been writing our own ‘Dear Dragon’ invitations this week, inviting the dragon to a party! We have also had lots of dragon activities around our classroom such as; writing our name in dragon spikes; decorating and exploring dragon’s eggs; creating our own junk model dragons and even oil pastel pictures of the dragon’s flames. We have had a super week here in Reception! This week we have been focusing on the story of Jack and the Beanstalk. In this traditional tale Jack's mother is very angry when he swaps their only cow for some magic beans. But before Jack knows it, he is off on a big adventure! This week in Reception we have continued to look at the Jack and the Beanstalk story, retelling the story and singing the song to help us remember what happened. This has helped us to do some super story writing; we had a go at writing part of the Jack and the Beanstalk story using our phonics skills, capital letters, finger spaces and full stops to write some brilliant sentences about the story. We have also been looking at other versions of the Jack and the Beanstalk story. We have read Jack and the Mean stalk which is a twist on the classic. This story finds Jack in a high rise flat, selling his Mother’s prize possessions…the TV! Even the giant and the beanstalk have different personalities to the original tale which made this a really exciting story to read. We have also had Jack and the Beanstalk activities around our classroom. We especially enjoyed the beanstalk play dough, the beanstalk puffy painting, measuring the giant’s feet, fizzy cloud dough, building giant beanstalks and painting the characters from the story. It has been lots of fun, have a look on our website to see some photos. We hope that you have a wonderful weekend. We have had a great week here in Reception, we have been reading the story ‘Small Knight and George and the Royal Chocolate Cake’. This is a story about Small Knight and George the Dragon who are off on quest - to rescue the world's biggest chocolate cake that's been stolen in the night by some cheeky robber-brigands. But will the wild and hungry robber-brigands give up the cake without a fight? They will if someone invites them to the royal party so they can join in all the fun. We have had a wonderful time this week planning the royal party. We all had a go at writing a menu for the party and we had some brilliant ideas for the food. We also got to taste test five different types of cake and vote for our favourite! We even made a group pictogram from our results. This week, we have also been busy learning all about the different parts of the castle. This has been great fun and we found it really interesting. We then used all the new words we have learnt in the small world castle and in the role-play castle. Some of us even had a go at some writing about castles. We hope that you have a brilliant weekend and thank you for your continued support. This week we have had another very busy week in Reception, learning all about Unicorns! We have done this through the story ‘I wish I’d been born a unicorn’ by the author Rachel Lyon. This book is about a horse called ‘Mucky’ who had a few problems with personal hygiene! We are told “Mucky was a playful horse, who lived up to his name. He didn’t bathe, or brush his teeth, and never combed his mane.” To help Mucky we have been learning this week how to keep ourselves clean. We have been looking especially at how to care for our teeth and discussing the importance of brushing our teeth twice a day. We have also been talking about what foods and drinks that are good for our teeth. We have had wonderful teeth activities out around our classroom this week including; counting out teeth into a mouth and writing a matching equation, brushing the pretend teeth, making teeth out of play dough and we have even written instructions about how to brush your teeth. We were also incredibly lucky to have the Little Library Van visit our school on Friday morning; all the children got to visit the Little Library Van and had a wonderful time. We would like to say a big thank you to the parents who joined us for our stay and play session and a visit to the Little Library Van; we hope you enjoyed it as much as we did. This week we have been learning all about the importance of sleep and a good bedtime routine through the story Get Some Rest, Sleeping Beauty! In this story Aurora never wants to go to sleep, staying up as late as she can playing. This makes Aurora super grumpy. When a spell sends her to sleep for 100 years, everything changes. When she finally awakes, she's no longer the stroppy, sleepy princess she used to be. Because Princess Aurora didn’t get enough sleep at the start of the story, we have been learning about what the effects of us not getting enough sleep would be and talked about how it can make us tired, grumpy, unable to concentrate and to not have much energy. We have also talked about the black bags and lines that tiredness can give us under our eyes. During our circle time we have discussed the importance of a good bedtime routine, for example having a bath, getting into our pyjamas, brushing our teeth, then getting into bed and having a story. We have also talked about how we must stay in our own bed and go back to sleep if we wake up during the night and that we should not play or watch our tablets or electronic devices before bed. To celebrate World Book Day this week we have been focusing on the lost words poetry book. We looked at the poem of the owl, we read the story owl babies and had lots of wonderful owl activities around our classroom. We even wrote our own owl acrostic poem using the letters OWL to start each sentence. Thank you to all the grown-ups that attended our World Book Day Secret Story Teller session. It was such a pleasure to have you and we hope you enjoyed it as much as we did! We have had a brilliant week here in Reception learning all about the importance of blowing our nose. We have been reading the story ‘Don’t Pick Your Nose Pinocchio’ by Steve Smallman. This is a story all about hygiene, where every time Pinocchio picks his nose he lies to Gepetto about doing so and his nose grows! Mr Cricket arrives to help distract Pinocchio and keep his fingers busy, but when Pinocchio accidentally pushes Mr Cricket up his nose, he learns a big lesson. We have been practising blowing our nose and learning about why it is so important not to pick our nose. We have also had a go labelling Pinocchio and writing an apology for picking his nose. Our activities around the classroom have linked to our Pinocchio story too. We have had snotty slime, ordering Pinocchio’s different length noses, a nose blowing station and even counting Pinocchio’s bogies. Happy Friday! We have had a wonderful at school, with our twister tale’s topic with Goldilocks and the Three Bears. We started the week by making and tasting porridge, talking about how the porridge changes and if it is a healthy breakfast. We mixed different things with our porridge and chose which flavour was our favourite. We have been reading the twisted tale ‘Eat Your Greens Goldilocks’, in this story the three bears play host to a very fussy eater. Goldilocks only likes things 'just so', and she hates eating vegetables! But the bears are determined to give her a healthy meal. After reading this story we have been learning about healthy and unhealthy food. We have also been busy this week writing a retell of the story ‘Goldilocks and the Three Bears’. We used our phonics and quick words to help us write. We are getting good at writing sentences and just need to remember our capital letters, finger spaces and full stops. Happy Friday! We have had a wonderful week at school, with a new story ‘The Carrot Club’. In this story the veggies feel left out when they discover a secret club. “Only carrots are allowed at The Carrot Club!” Head down the vegetable isle, where a smart thinking parsnip might just be the key to getting all the veggies into the club and teaching the carrots and important lesson. This fun story has been a great reminder not to judge others by their appearances and has been encouraging children to think positively about trying a range of vegetables. This week as our story has been all about vegetables we have been learning all about healthy eating. We have been busy sorting food into healthy and unhealthy baskets and we even had a go at writing a list of all the healthy and unhealthy foods. We have also had a range of fruit and vegetable activities out around our classroom, we have had; vegetable labelling, fruit counting into tens frames, partitioning fruit into part, part whole grids, cutting and investigating fruit and we even had our own carrot club small world where the children used little carrots with eyes to retell our story of the week. In our creative area we have had a wonderful fruit display that we have used as inspiration for our artwork. We have used paints, oil pastels, chalk pastels, pens and crayons. We have been very impressed with the fantastic artwork the children have produced. We would like to say a big thank you to all the Mums, Nans and Aunties that came to our Mother’s Day Afternoon tea, it was great to see so many of you there! We hope you enjoyed it as much as we did. Happy Friday! We have had a fantastic week here in Reception. We have been learning all about the story ‘The Gingerbread man’. We have enjoyed reading the traditional story, role playing it in our small world and we have also had a go at writing part of the story. We have also enjoyed the twisted tale ‘Keep Running Gingerbread Man’ a story by Steve Smallman. In this story you can follow the Gingerbread Man as he runs away from the little old woman, the little old man, the cow, the horse and the fox! It also teaches us all about a healthy lifestyle and how to keep fit. We have been learning about what happens to our body when we exercise and why we need to keep fit and healthy this week. We have had lots of fun physical activities in our outdoor area to keep us fit and healthy. This links in to our story last week where we learnt about the food we need to keep healthy. We have also been busy baking our very own gingerbread men. We worked together to put all of the ingredients in the bowl and make our own gingerbread man. We even made a giant gingerbread man for Miss Cullum to eat! The next day we enjoyed eating our gingerbread men; however, we discovered that Miss Cullum’s giant gingerbread man had gone missing! We were all shocked and wondered where he had gone. We would love you to keep a look out for him.